Delixi Electric, a manufacturer of low-voltage electrical products, is banking on robotics to trim time needed for tax invoice issuance by 75 per cent. The Zhejiang province-based company needs to issue more than 5,000 value-added-tax invoices to more than 600 clients nationwide monthly. A human needs 20 minutes to issue each invoice, which entails information collection, verification and recording. However, the same work can be done in five minutes by a robot, according to Deloitte, the robot supplier. 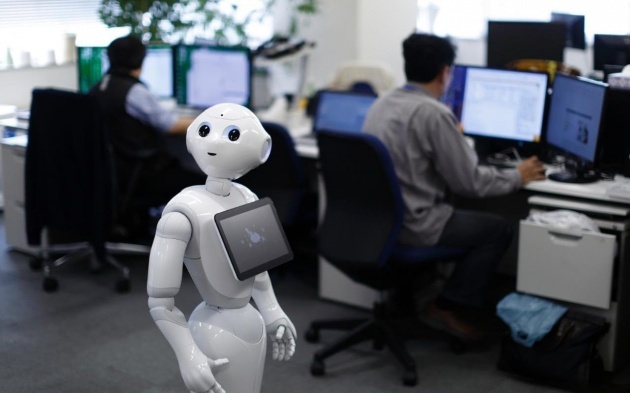 “A robot can be at least 15 times faster than a human being and ranks as a ‘super employee’ by working around-the-clock all week,” said Joseph Chu, Deloitte China’s chief digital officer. Delixi is among a growing number of business that use robotic process automation (RPA), a form of clerical process automation technology to trim operational costs and improve efficiency. In addition to Deloitte, the other remaining big-four accounting firms – including EY, KPMG and PwC – have introduced the technology-driven services in China to businesses ranging from banking, technology, and consumer services. “Businesses are widely embracing the RPA services as it has become the hottest topic in the latest technology application in tax management in China,” said Patricia Xia, EY Greater China digital tax leader. In another case, KPMG has provided financial automation services at an international bank. It freed up manpower by 22 per cent at the bank’s trade finance department, while it improved manpower efficiency by 18 per cent at its commodities department, according to KPMG.